bzimmer.ziclix.com / Submarine, pineapple express, Polar Bear. Submarine, pineapple express, Polar Bear. 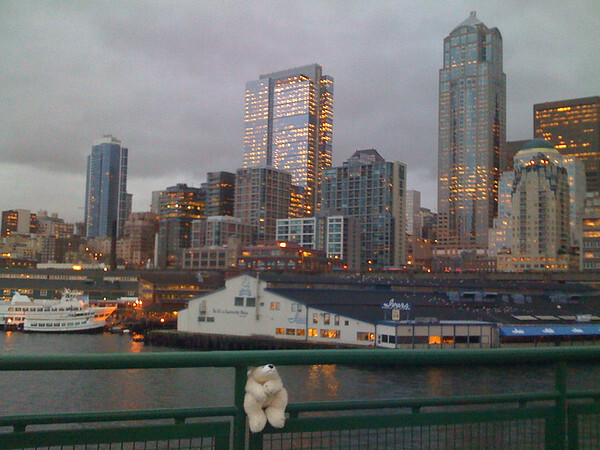 Polar Bear was chosen as today's ambassador for the great stuffed animal collection. While we've been experiencing some really heavy rains recently courtesy of a Pineapple Express today wasn't so bad. I'm a bit of foul weather junkie so this weather suits me for the most part. I had two different people smile while I was propping up Polar Bear, one asking if I was a member of the Polar Bear Club (I'm not) and the other offered that she "won't even ask". I'm cheating a bit — I took this photo last Friday. 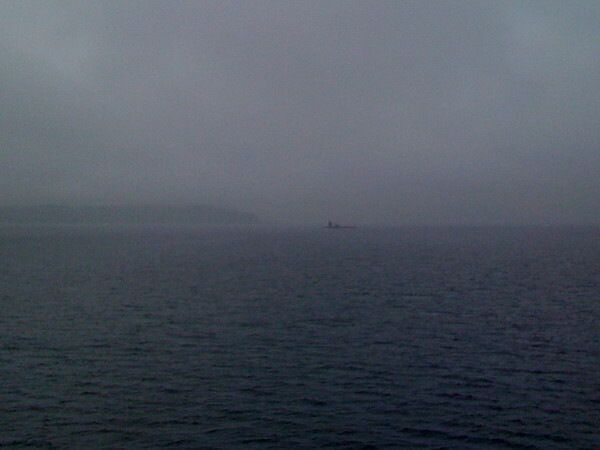 If you squint you can see the submarine returning from duty. My familiarity with submarines is generally limited to what I know of those built in Manitowoc, WI (well and The Hunt for Red October) and I never saw those in action — it's remarkable to me to be so close to one on active duty.